Can the 12,800 egg sets in the collection of UC Berkeley's Museum of Vertebrate Zoology tell us why some eggs are oval, while others are round? That's the question Science magazine asked in a data visualization, http://vis.sciencemag.org/eggs/, now competing for a best-of-the-Internet Webby award. 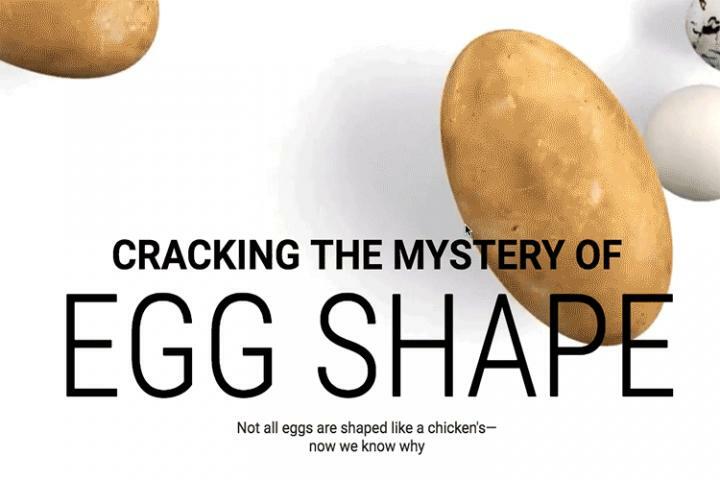 Drawing on scientific papers and the rich collection at UC Berkeley's museum, designers with the magazine developed a webpage that tries to "crack the mystery of egg shape," using charts and animations. You can vote for their effort before Thursday on the Webby website, https://vote.webbyawards.com/PublicVoting#/2018/websites/features-design/best-individual-editorial-experience. The Museum of Vertebrate Zoology's egg and nest collection contains some 200 nests and 12,800 egg sets from across North America, Europe, Asia and Africa. The first specimen was collected in 1843. The smallest is a hummingbird egg weighing just two-tenths of a gram; the largest egg in the collection is the nine-kilogram monster of the now-extinct elephant bird. Researchers and designers at Science looked at the almost perfectly round hawk owl egg and the very oblong eggs of the murre, a low-Arctic water bird, to find an answer to the egg-shape question. Their conclusion? The shape of the egg depends on the bird's flying habits: the stronger they fly, the longer their egg.